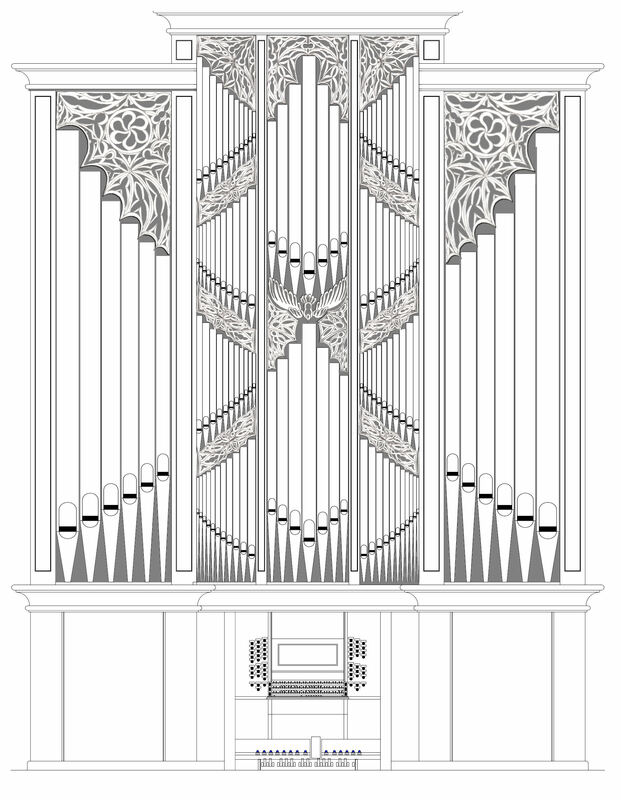 The pipe organ for St. Philip Presbyterian Church is now being erected at the church in Houston (January 2010) after being constructed in Paul's shop in Tacoma, Washington. 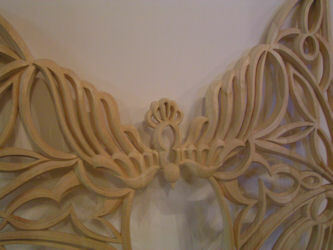 I completed the pipe shade carvings at the end of December in my shop in Olympia, Washington. 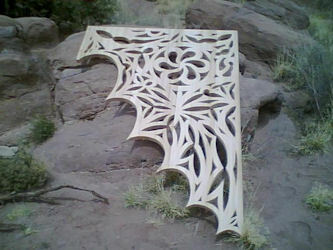 These carvings are a contemporary design based on the gothic tracery style. 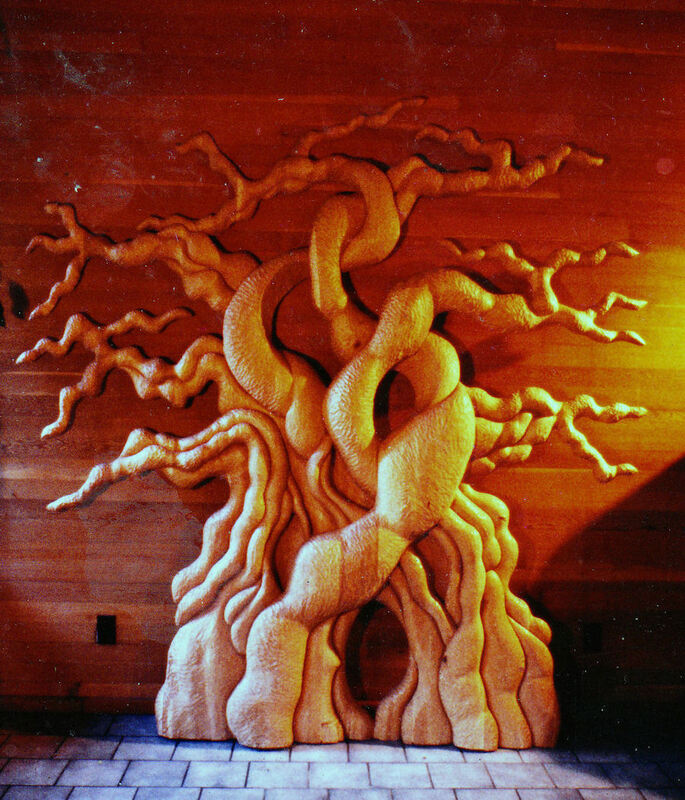 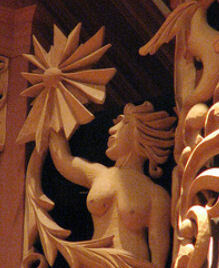 The carvings feature abstract figures of loaves and fishes. 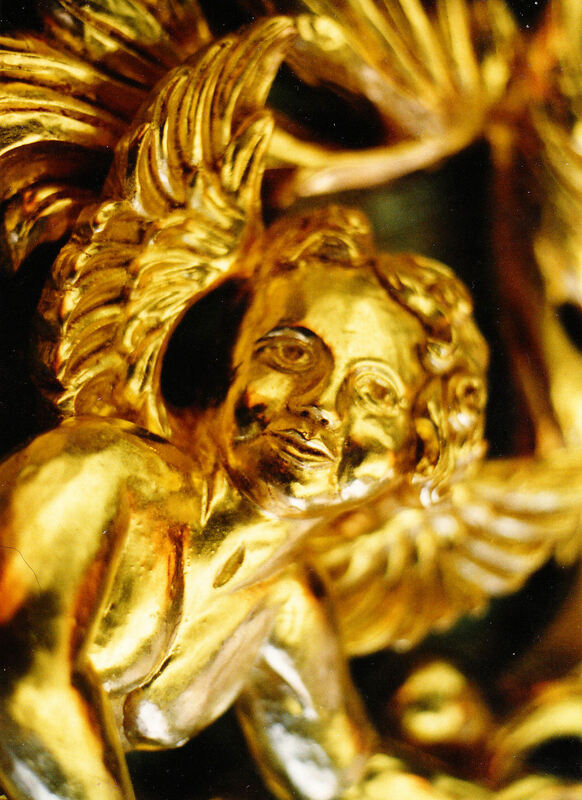 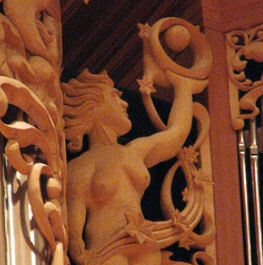 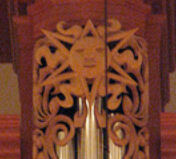 The center carving features a dove flying downward toward the musician. 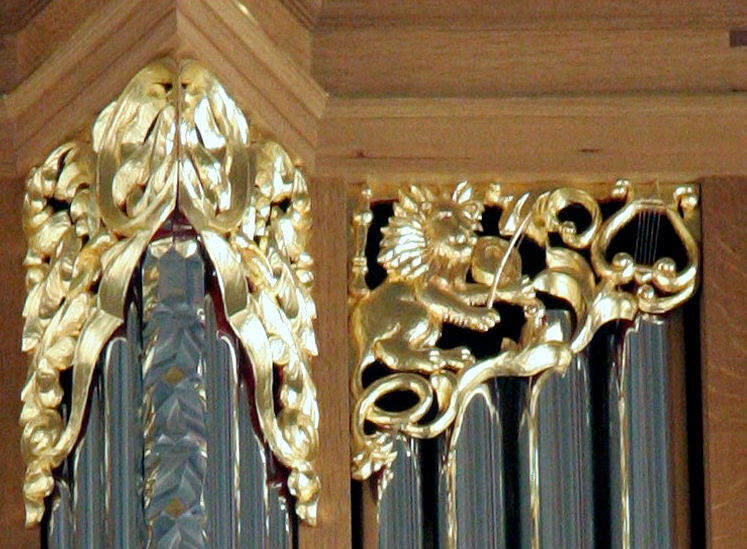 for Paul's photos building the organ. 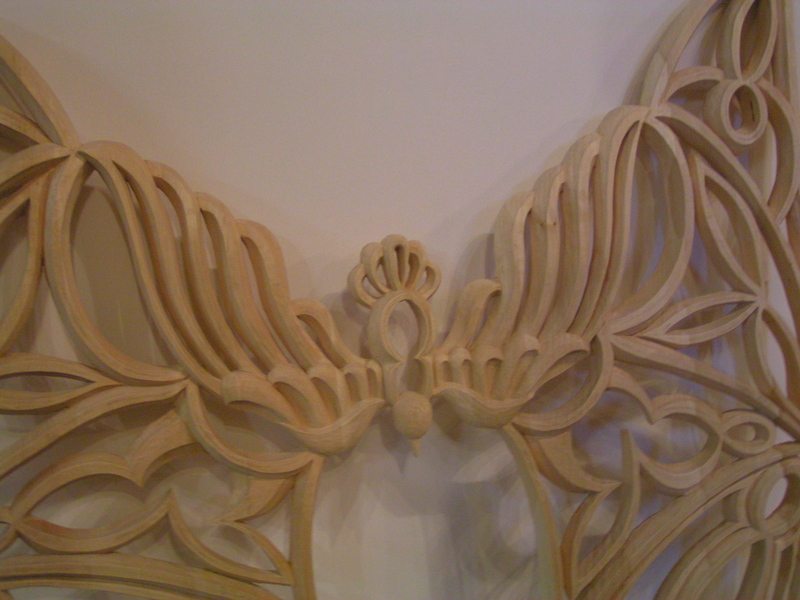 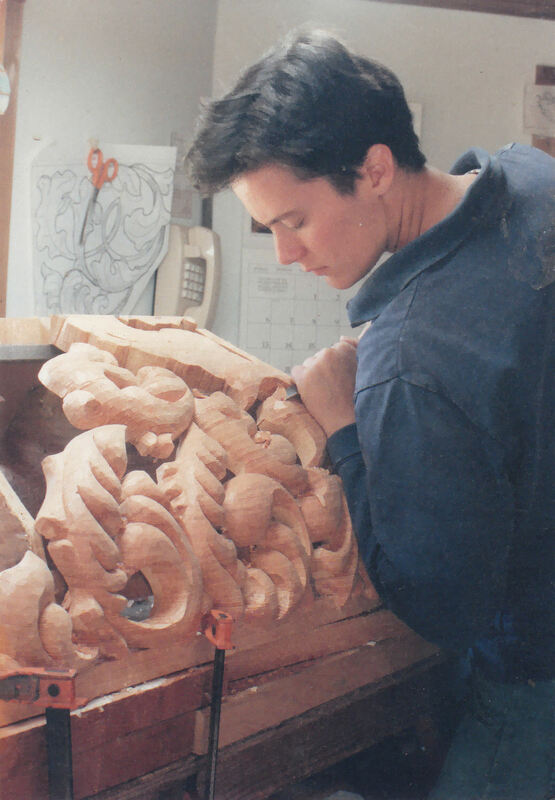 A few of the carvings were installed for the open house at Paul's shop. 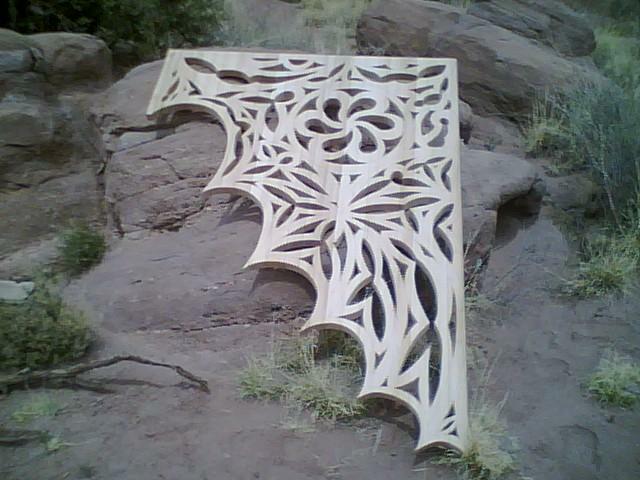 working at my cabin in Arizona's Painted Desert.